Blunt…. Simply the best umbrella you will ever own! Storm proof in winds up to 120 km/h! The humble umbrella has remained virtually unchanged for decades. That is until a marine biologist and a mechanical engineer from New Zealand got together and decided that it was time for a fresh approach. A major flaw of conventional umbrella design is that even in light winds the fabric can tear away from a tip or come away from the ribs. When this happens, the whole structure collapses and the umbrella becomes useless. The Blunt Classic umbrella has a uniquely tensioned canopy combined with a flatter aerodynamic profile. 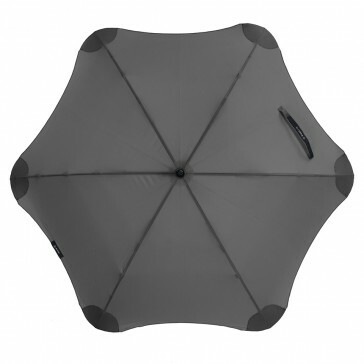 This revolution in umbrella design also eliminates any dangerous sharp edges and weak points. The Blunt Classic performs better and lasts longer thanks to its revolutionary Radial Tensioning System (RTS) which redirects, transfers and distributes the effort used in opening the umbrella throughout the entire canopy surface. The result is an unflappable aerodynamic structure that sits effortlessly in the wind and provides maximum control, even in the most demanding weather conditions. 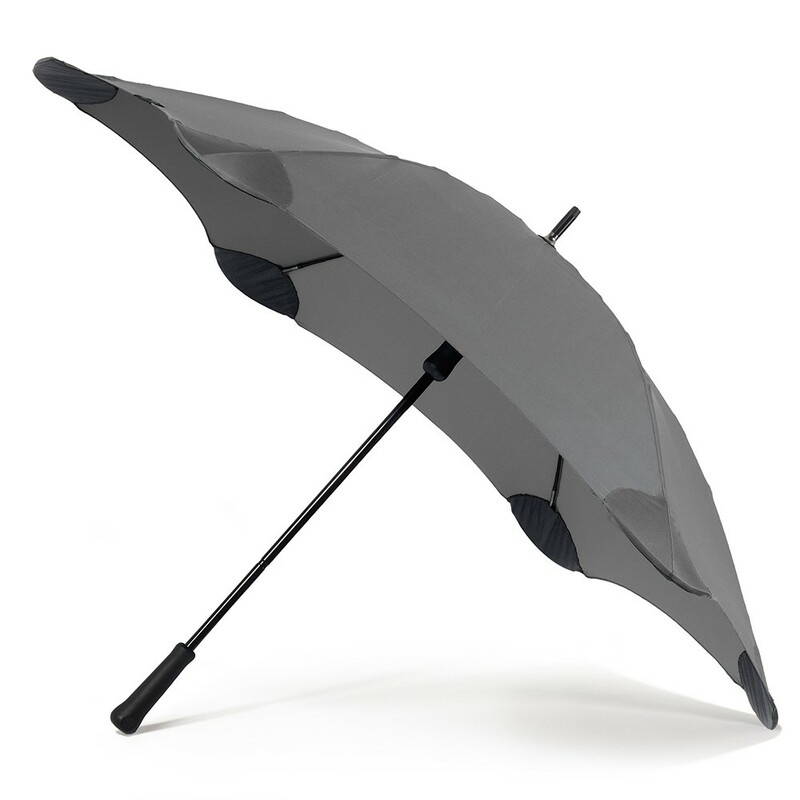 The Blunt classic umbrella is available in black, grey, blue, red and yellow.